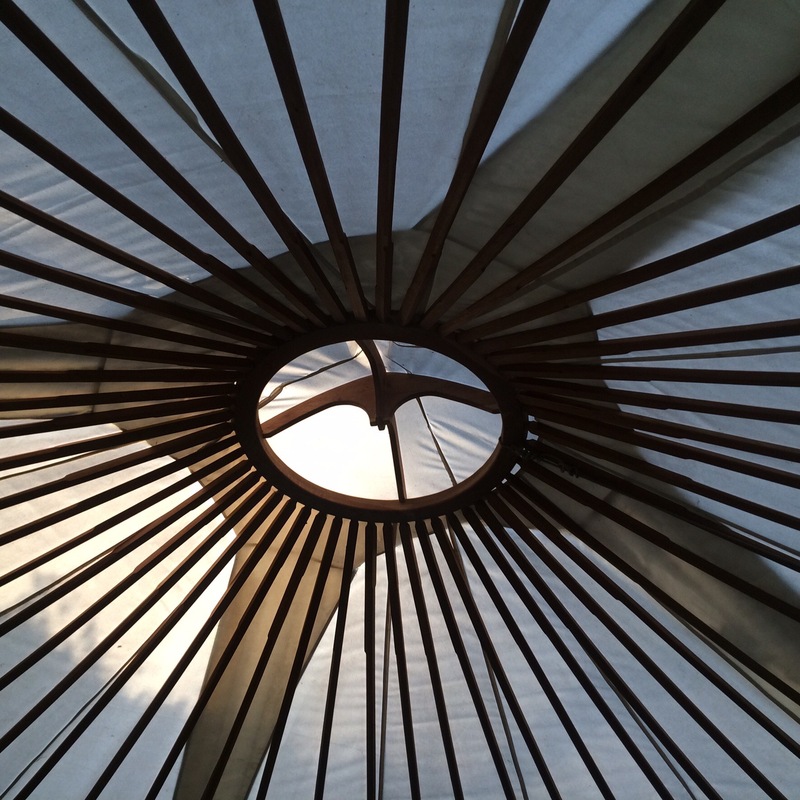 Last year ended up being a year of glamping! 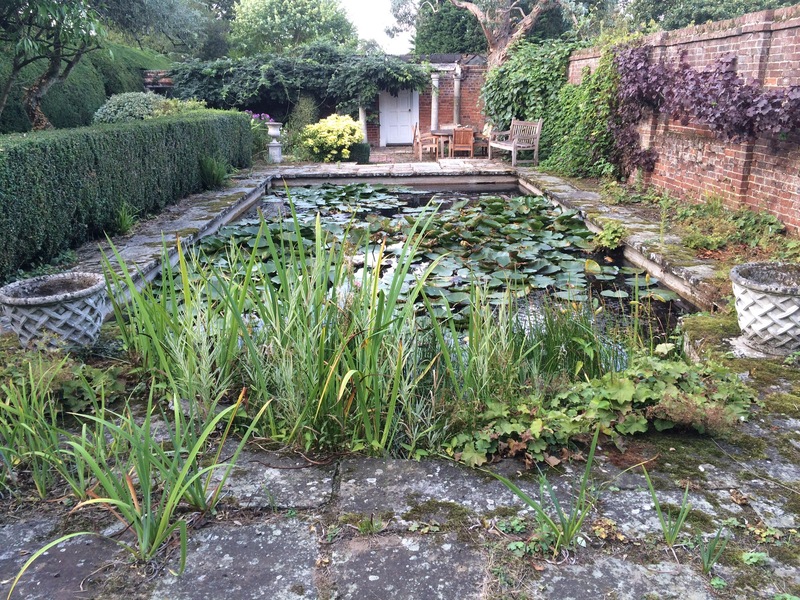 We love travelling around the UK, getting to know the country better and staying in interesting and quirky places. 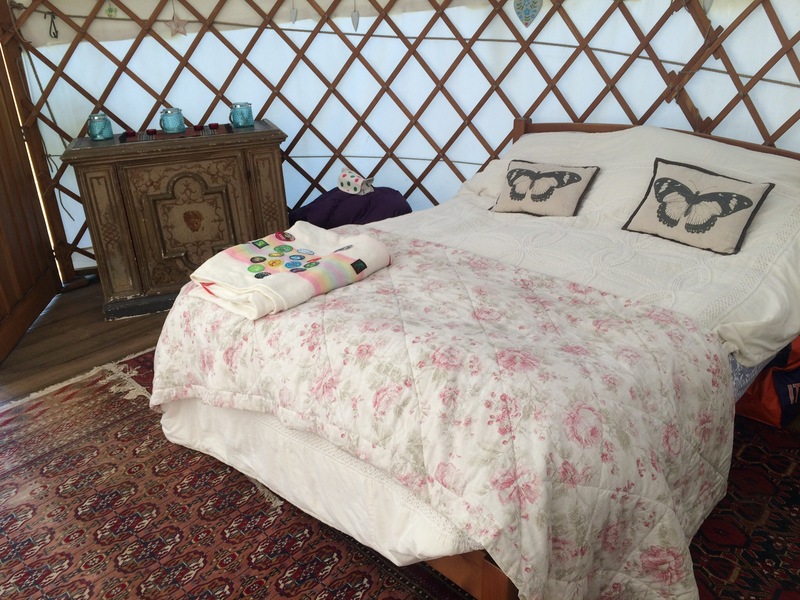 We had six glamping mini breaks, in Shepherd’s Huts, a yurt and even a potting shed. 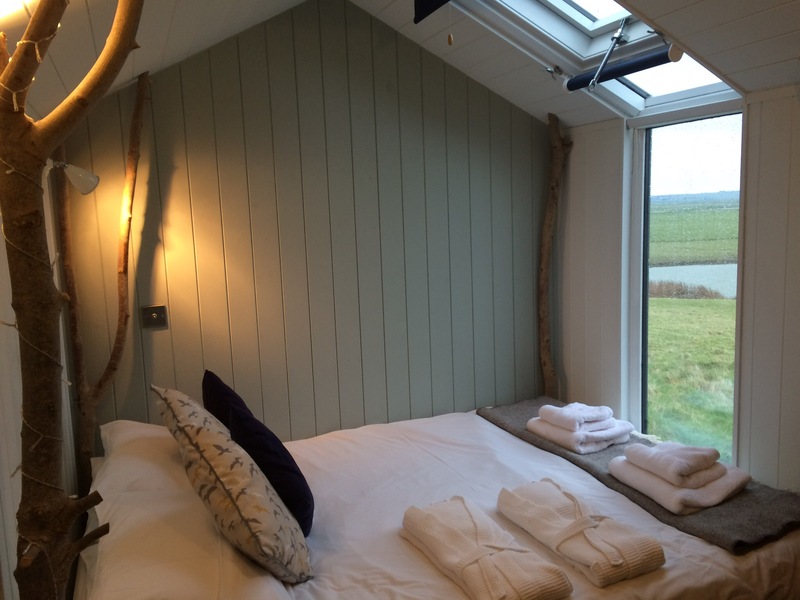 For Valentine’s Day last year we stayed at the wonderful Elmley National Nature Reserve. 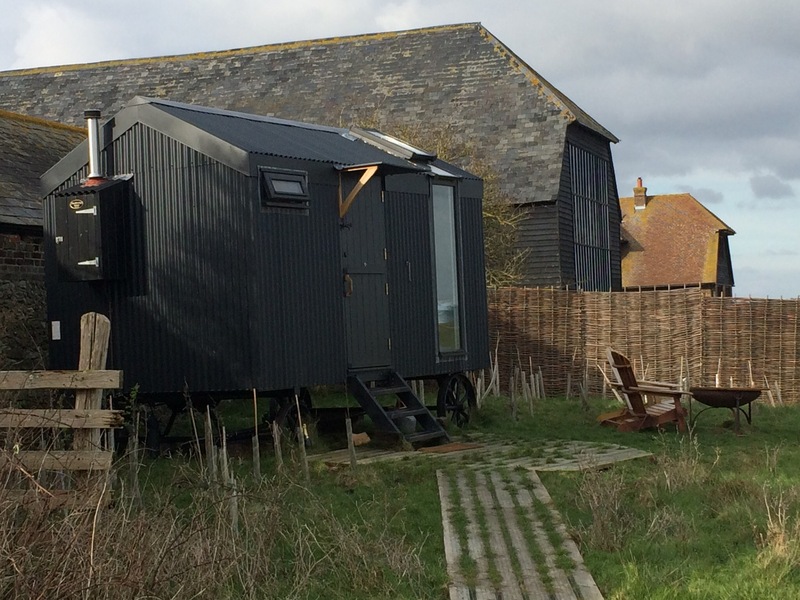 On the Isle of Sheppey on Kent, not far outside London awaits a wilderness of wetlands. We stayed in Vanellus, one of three, at the time, Shepherd’s Huts on site. 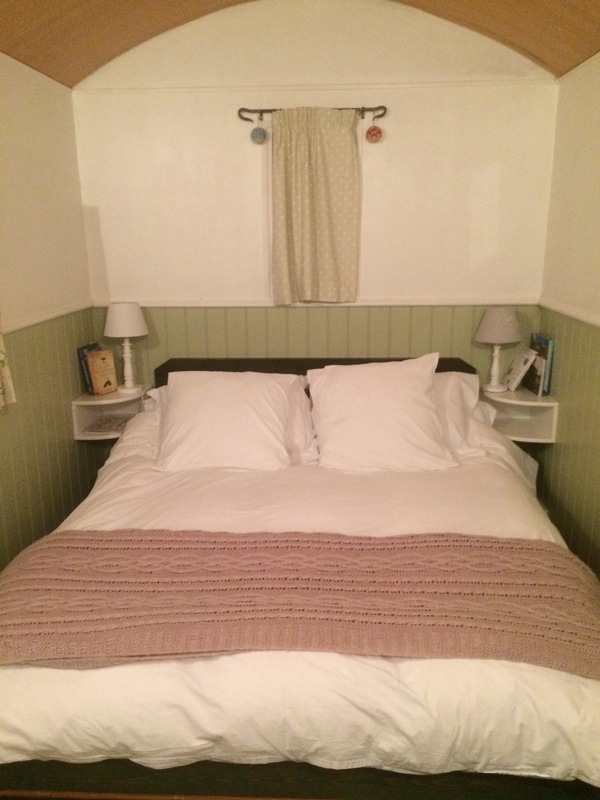 There is now an extra accommodation option in the form of the Saltbox, which I really want to stay in. 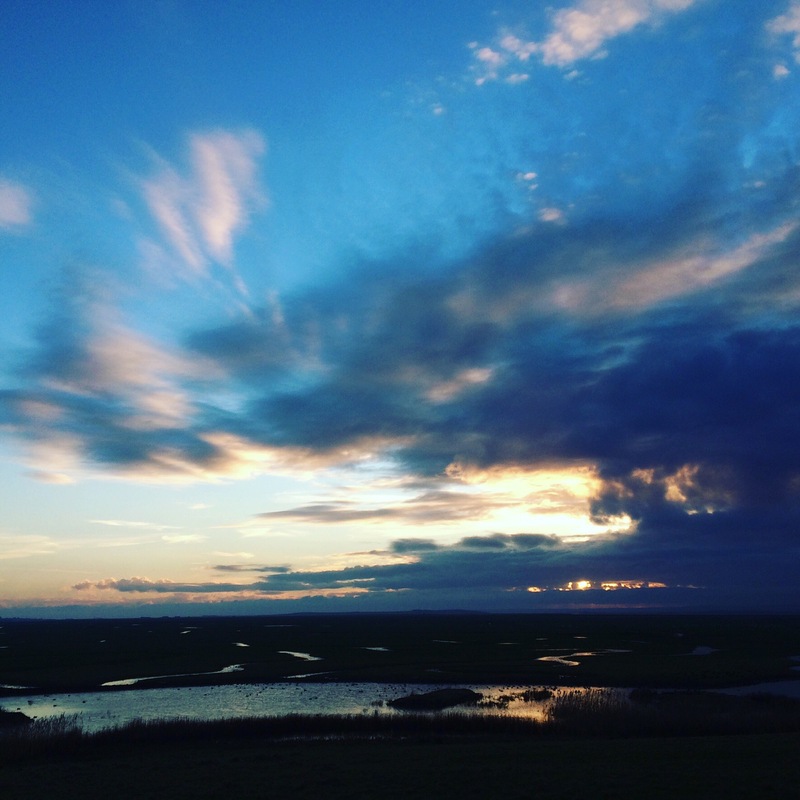 Elmley is the only National Nature Reserve in the country where you can stay on site, making it a very special place to stay. 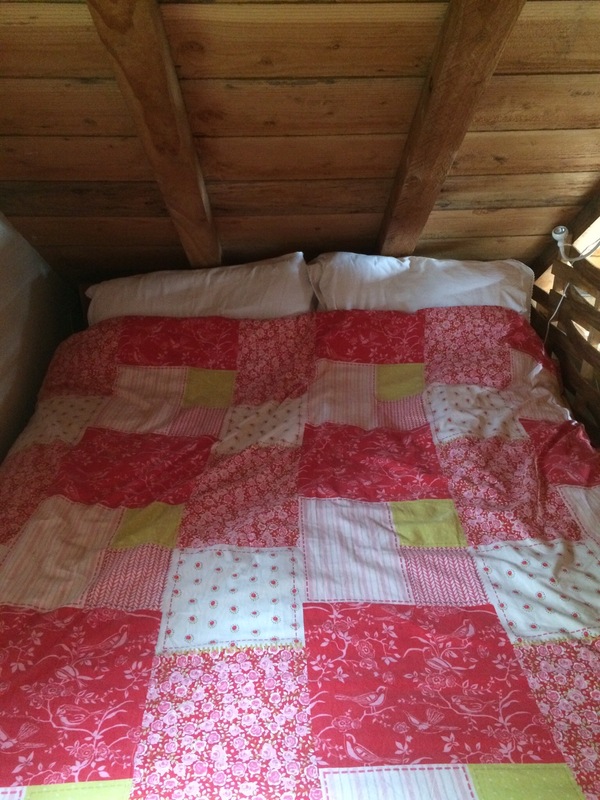 Vanellus was snug and cosy, with electric lighting and heating, flushing toilet and hot shower in the hut. The very comfy bed had a full length window looking over the lake and marsh at the foot of it. What a site to see first thing in the morning! Even on a grey February day the view across the wetlands was ever changing, with a cast of thousands of Wigeons, Teal, lapwings, golden plover and dunlin. Overhead marsh harriers and hen harriers could be seen, causing consternation in the flocks below. There was a constant background noise of grumbling and calling waterfowl, the haunting call of the wigeon rising and floating through the air. Despite the wet and cold we were warm inside Vanellus, and there was no need to leave its comfort for a meal as they were delivered to our door in a basket. 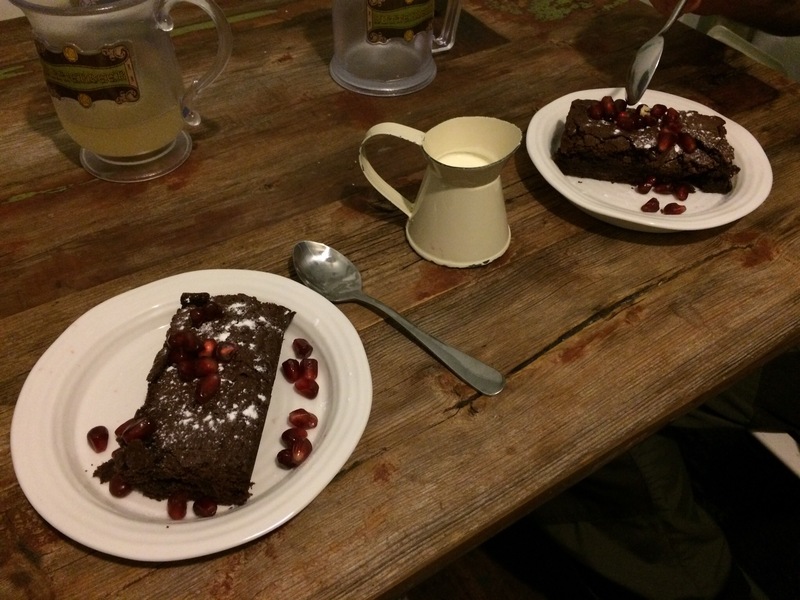 Inside the hut was a fold down table to eat at, and we were glad of a filling and tasty pie each with potatoes and veg, followed by gorgeous chocolate brownies with pomegranate and cream. Delicious! 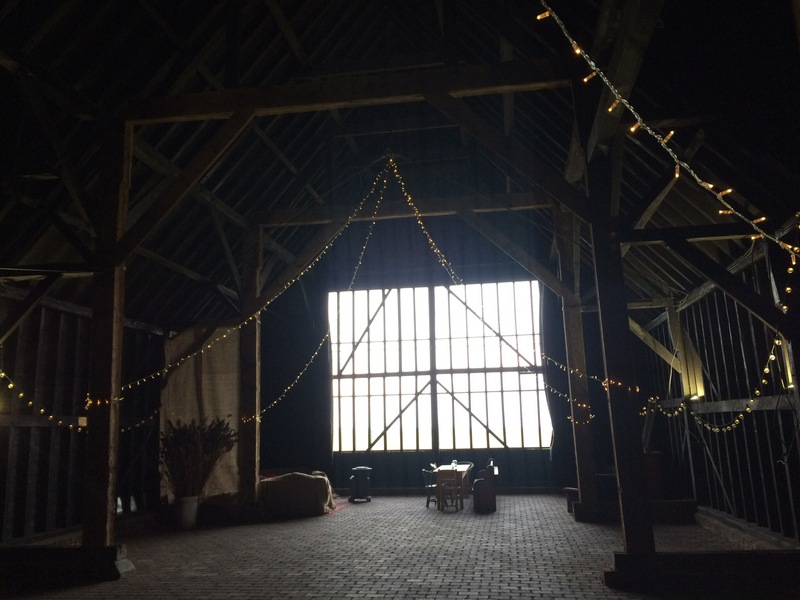 On site is also a huge old barn with an enormous window looking out over the wetlands, with space to relax and even an honesty bar. 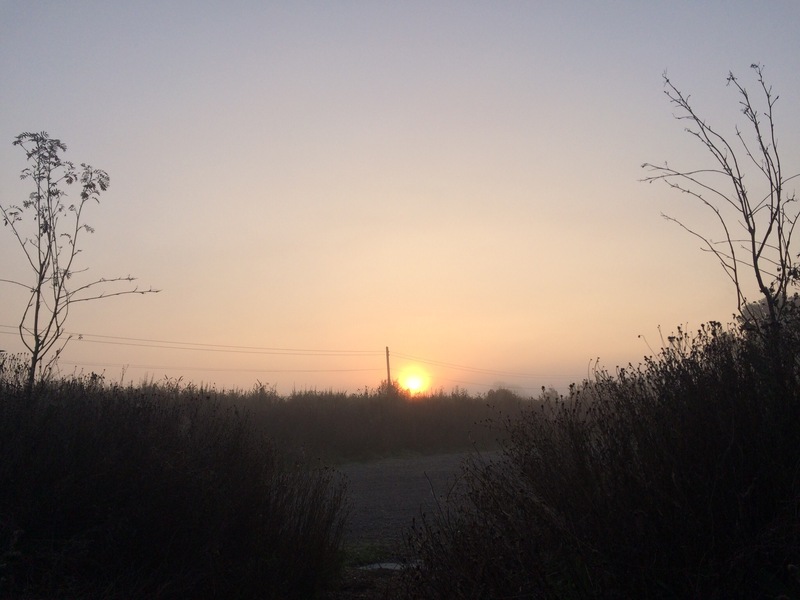 On our final day we explored the reserve, having spent the previous day exploring the Isle of Sheppey. 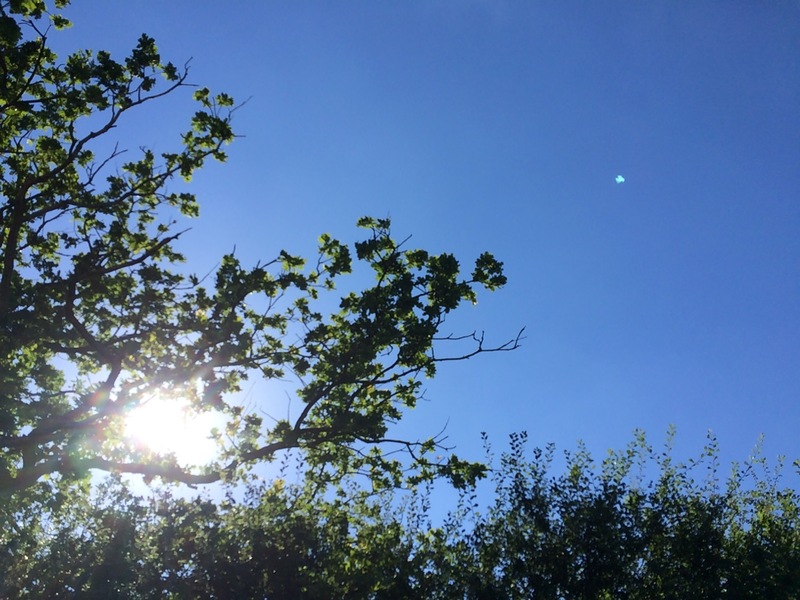 The weather had turned for the better. The sun shone and the water sparkled. There are several hides on the reserve to watch the waterfowl and we walked out to the furthest hide on the spit, where a coded box accessible only to residents holds blankets and sloe gin to warm up before the walk back. It’s difficult to beat huge skies and wild views like this and we’ll definitely be back to visit again. 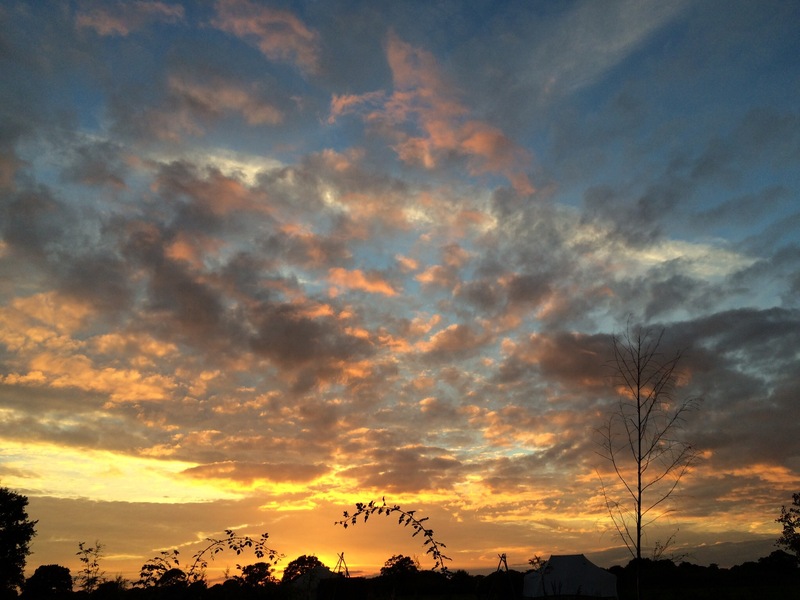 For more information about Elmley visit: Elmley Nature Reserve. 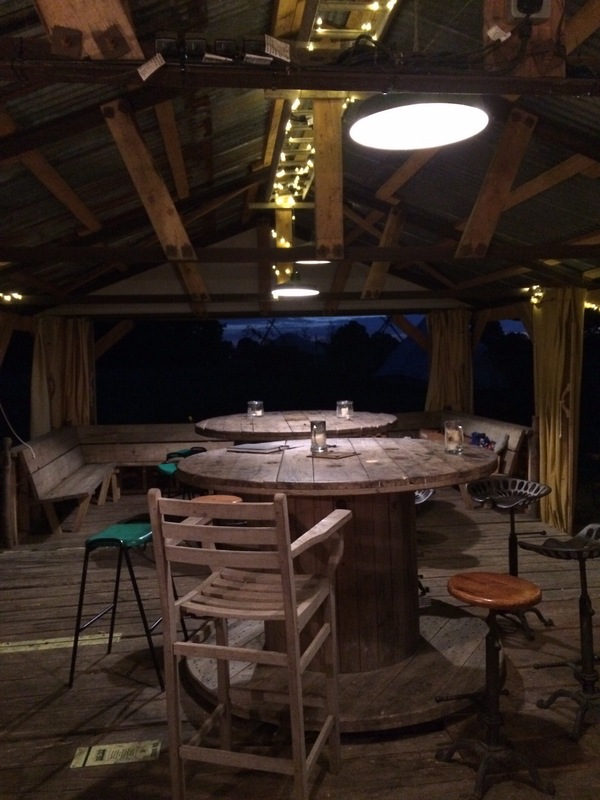 Our 2nd glamping trip was to the quirky and unique potting shed. This is a hand built creation at the end of a garden in Herefordshire. 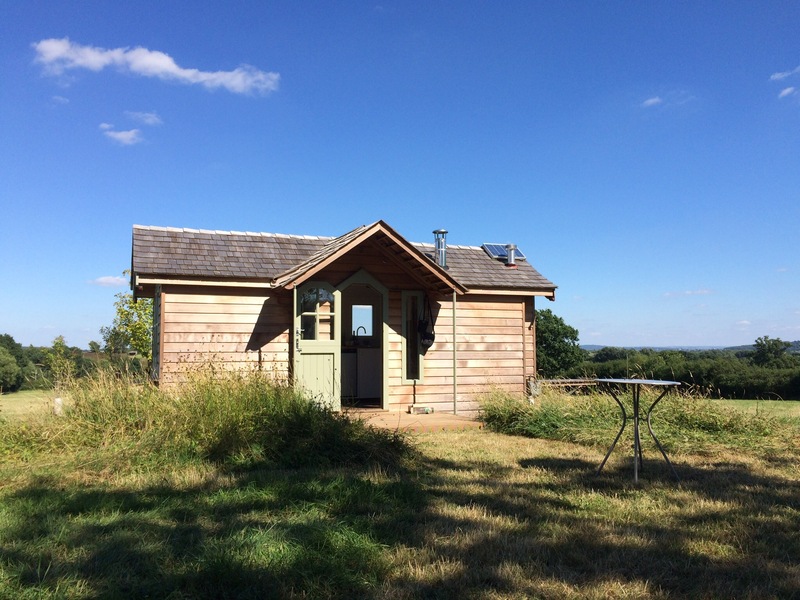 The Potting Shed overlooks fields and a lake behind, with windows the full width of the ground floor and a balcony upstairs to make the most of the views and the dark night skies, perfect for stargazing. 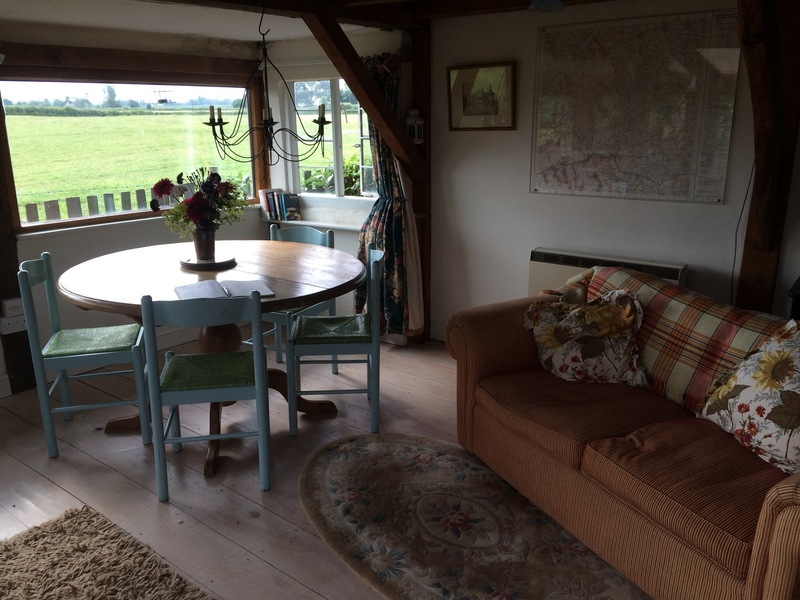 Inside the shed is cosy with a wood burning stove for cooler weather, a light and airy living area, a well equipped kitchen and upstairs a snug bedroom. There’s even room to bring a couple of friends, with an extra fold out bed. 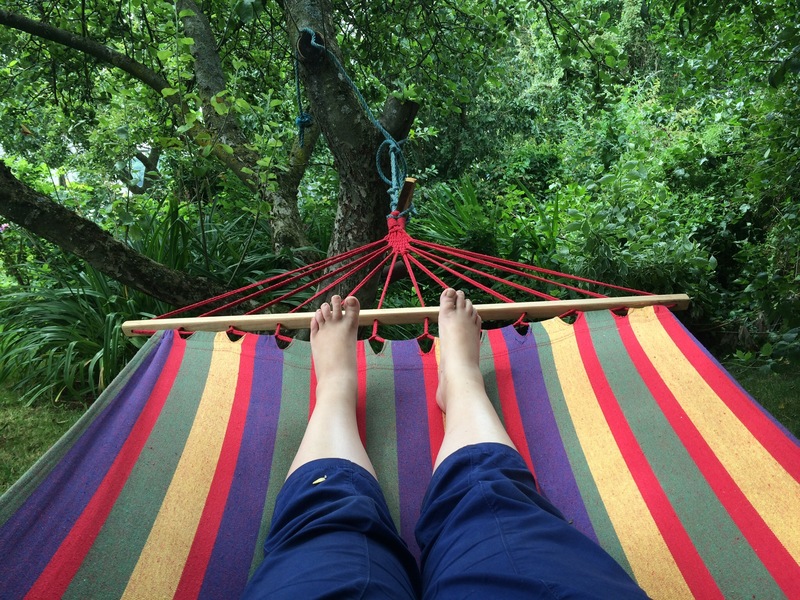 Outside in the garden two hammocks hang between fruit trees and we spent a lot of our stay relaxing in them with a book. 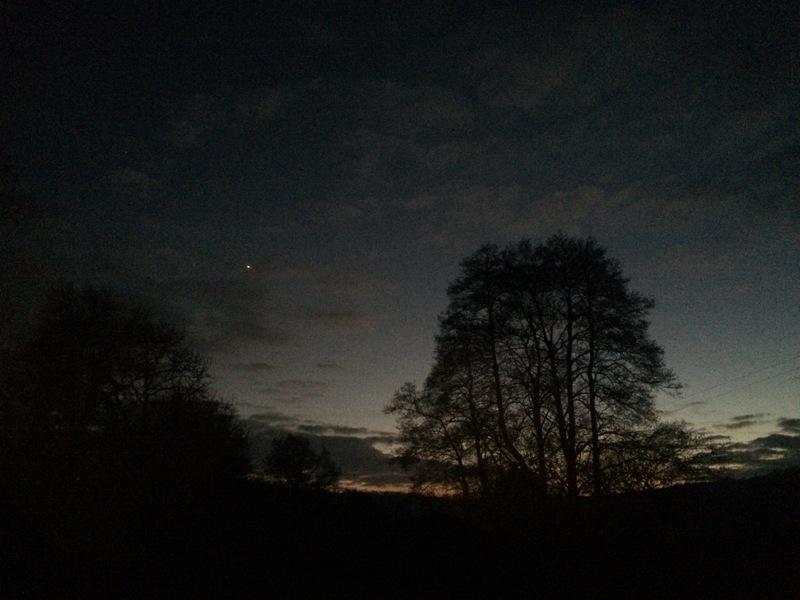 In the fields we watched a family of kestrels, the young learning to hunt, greeted the friendly cattle and were amazed by the most beautiful amber moonrise. Quiet and peaceful this was the perfect mini break on the way back from a week camping. We did nothing but relax. 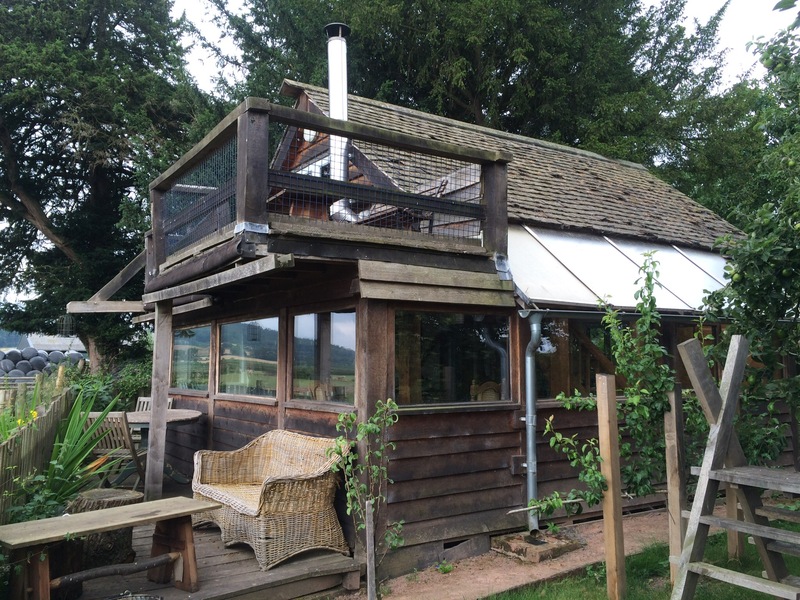 More information about the Potting Shed can be found here. This was a spur of the moment, last minute break and we were the very first people to stay in Glebe Hut. 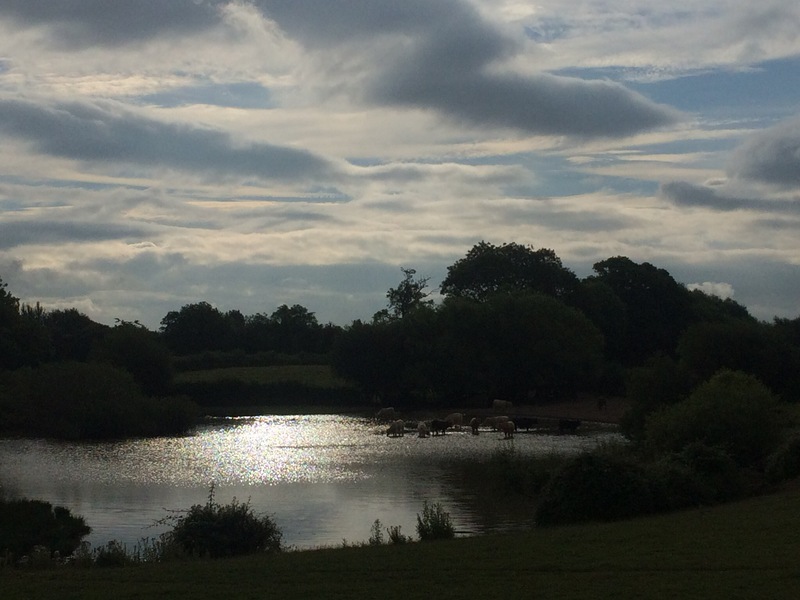 I saw a post on Facebook saying it was available from that weekend, perfect as we were going to Countryfile Live just down the road at Blenheim Palace and booked it straight away to extend our day trip to a weekend getaway. Glebe Hut is gorgeous, hand built excellence. 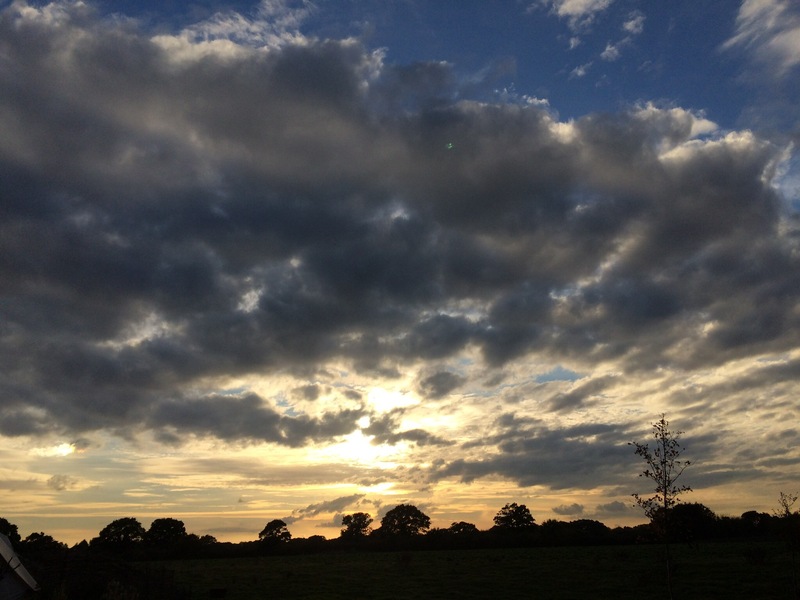 In its own field, across two fields from where you leave the car, it is a real escape. The weather was glorious, so we spent most of the time outside, relaxing, reading and napping at the end of two busy days at the show. Next to the Hut a kitchen tent with table and cooking facilities is provided while in the Hut is a comfy bed, kitchenette, wood burning stove, and a flush toilet and hot shower. 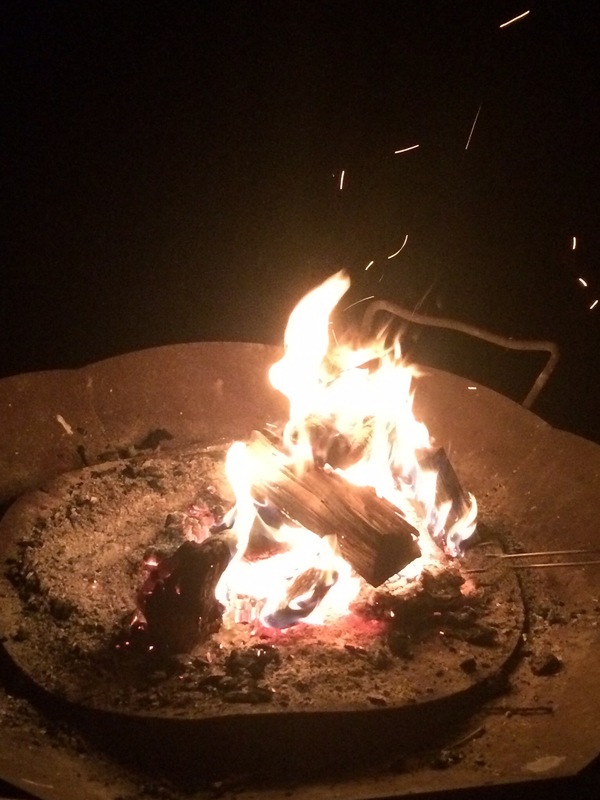 A fire bowl and plentiful firewood are also provided, perfect for evenings watching the sun go down and the stars come out. 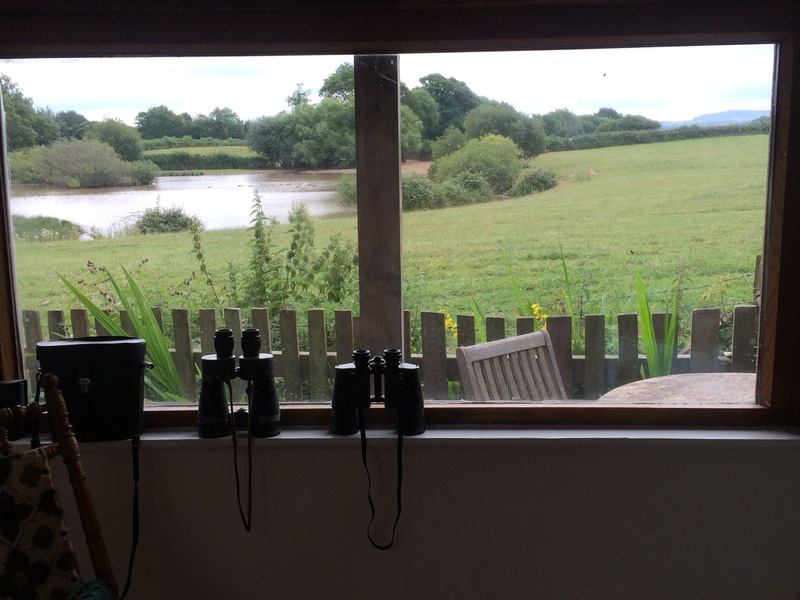 The field and wider farm, which you are welcome to explore, are full of wildlife. We watched deer and even a fox cub in the field, as well as lots of rabbits darting about. 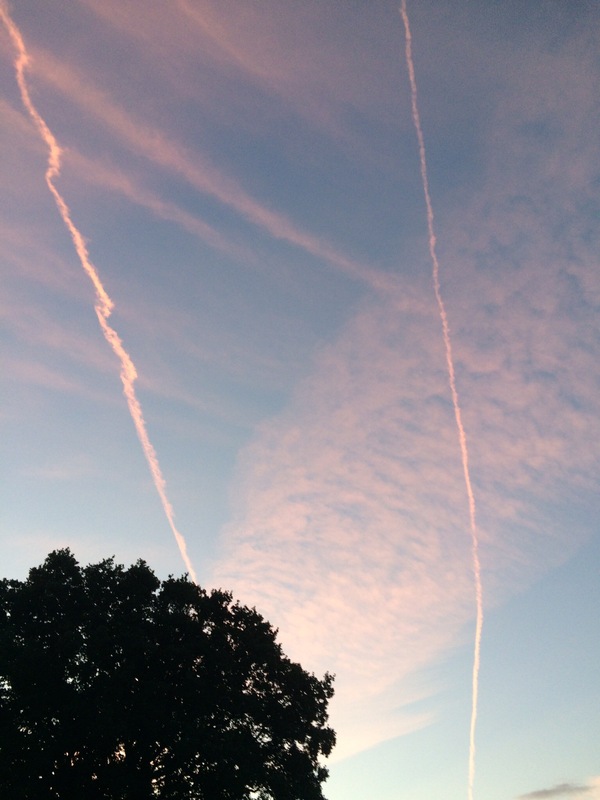 As night fell bats swooped overhead and shooting stats streaked across the sky. Glebe Hut was a really lovely place to stay, not too far from home but a real break. You can find out more about it here. 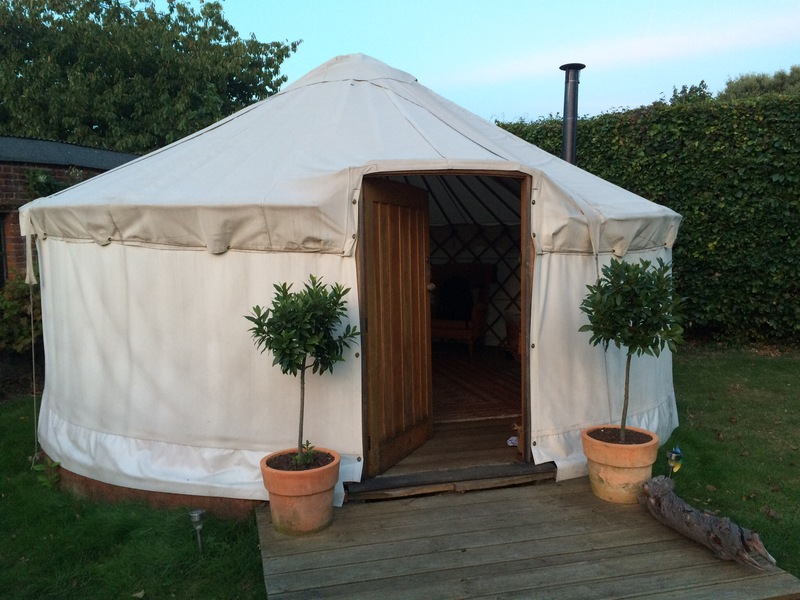 We stayed in Woodpecker Yurt for two nights on the way home from a week in Suffolk. 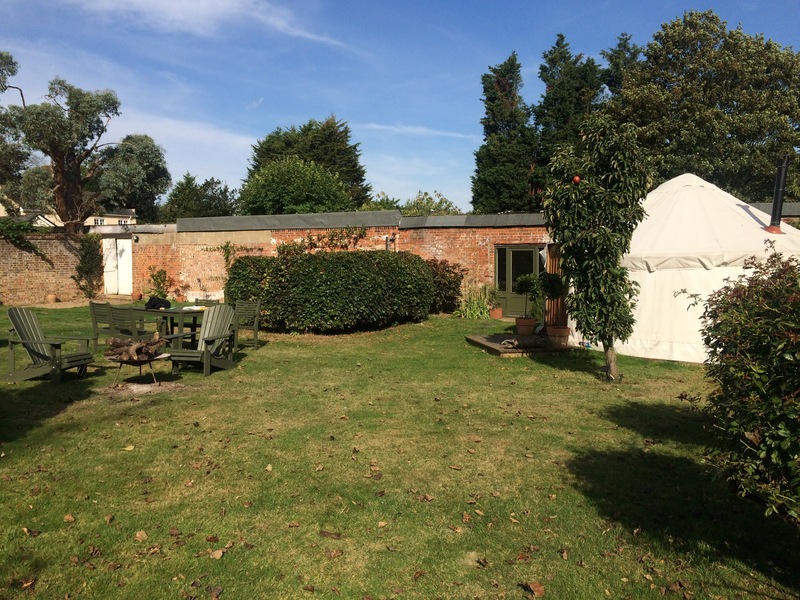 The Yurt is in its own walled garden in the grounds of a Queen Anne house, in a quiet country setting. 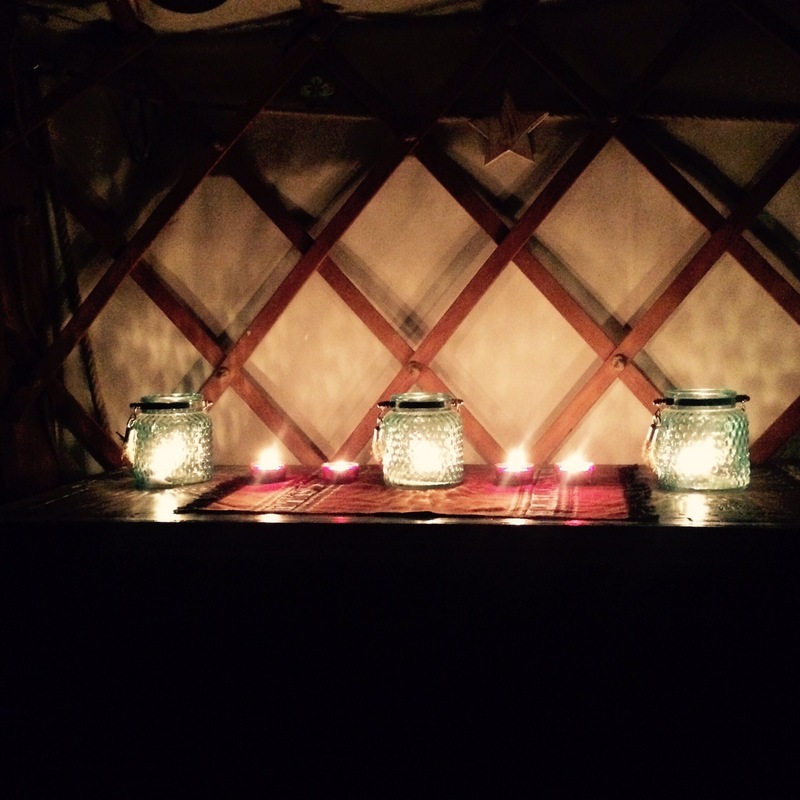 Beautifully decorated with a warm bed piled with duvet and blankets, chairs to curl up in and a wood burning stove to keep the Yurt toasty warm and plenty of candles. 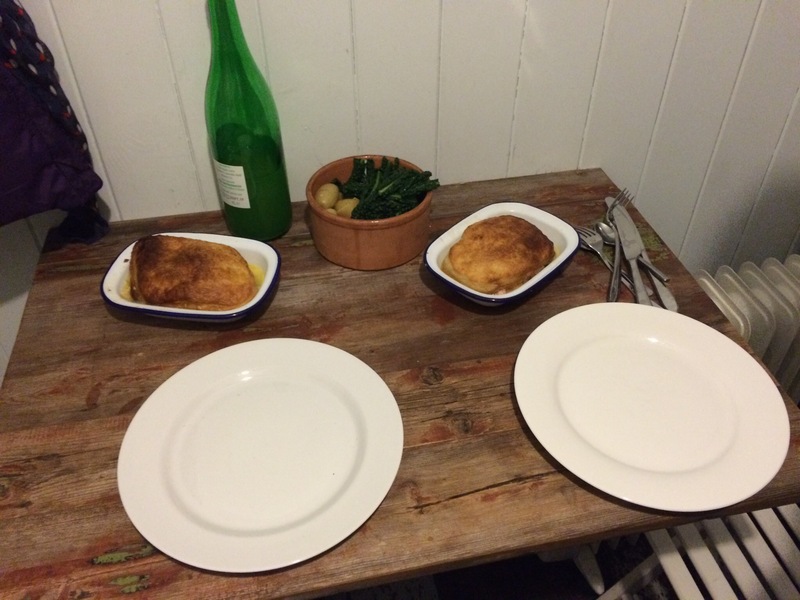 In the stables a kitchen and bathroom facilities are for your exclusive use. In the walled garden you are among fruit trees, while the grounds contain another walled water garden. 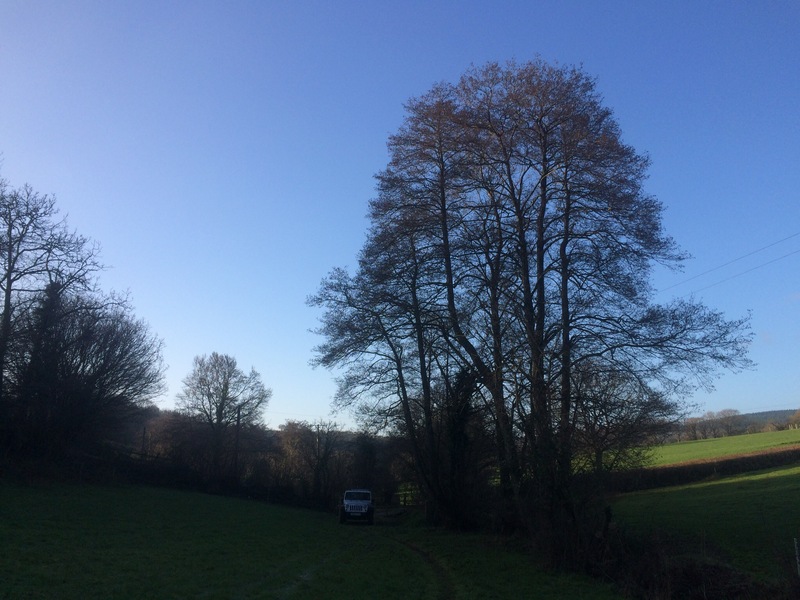 A footpath runs past the Yurt garden and we walked for miles, through fields and along the river to a pub for lunch before meandering back for an evening chatting by the fire. 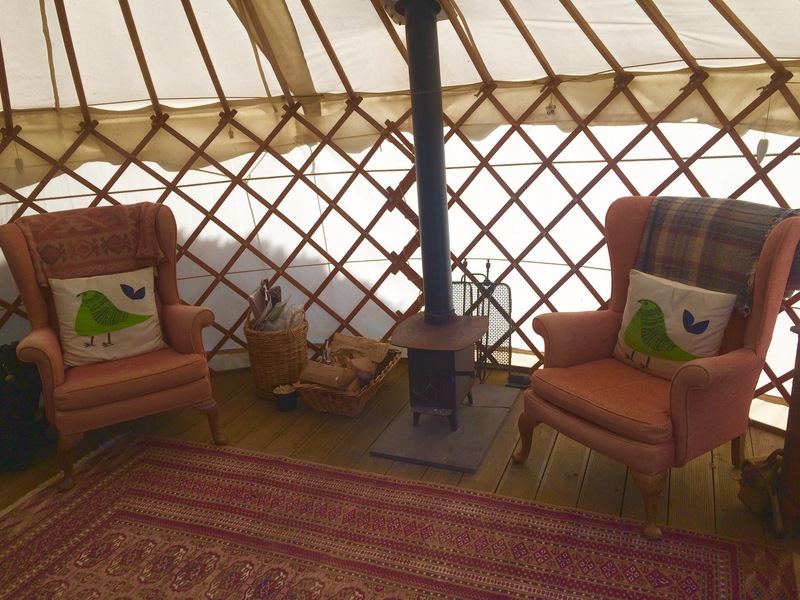 You can find out more about Woodpecker Yurt here. 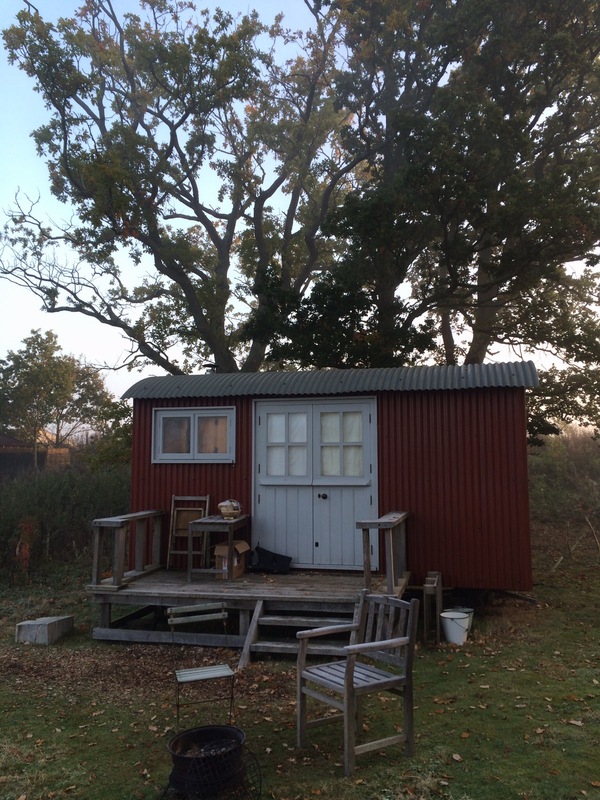 In October we stayed on the wonderful Knepp Estate in West Sussex in Tamworth Hut. 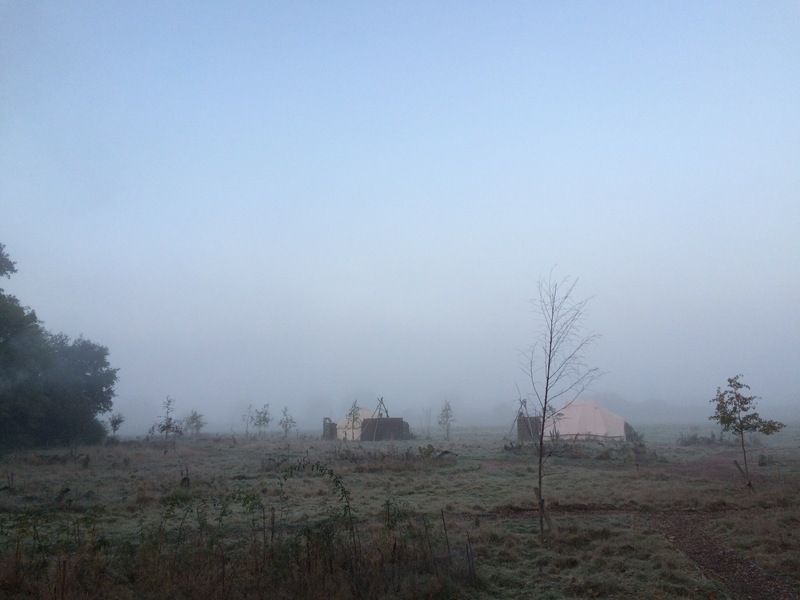 It was a perfect Autumn weekend, cold and frosty overnight, misty mornings, bright days. 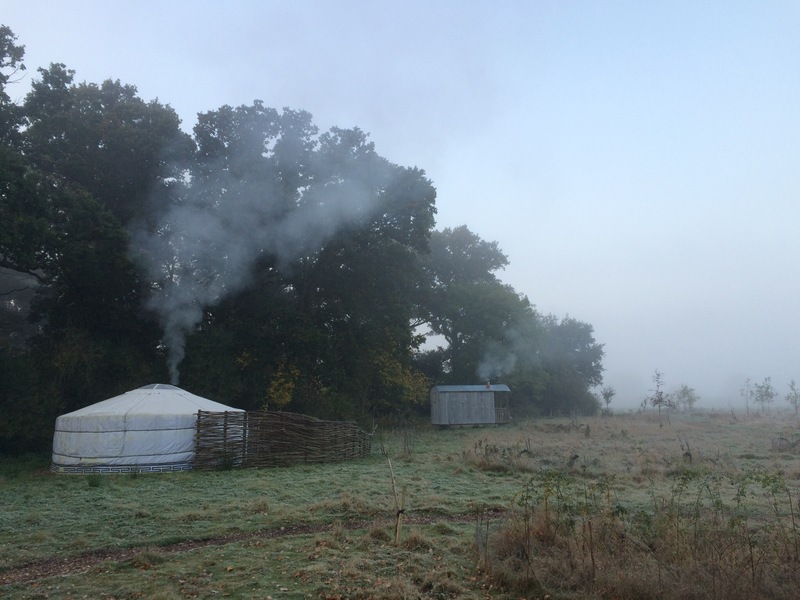 Tamworth Hut sits on a meadow along with yurts, tipis and other shepherd’s huts. 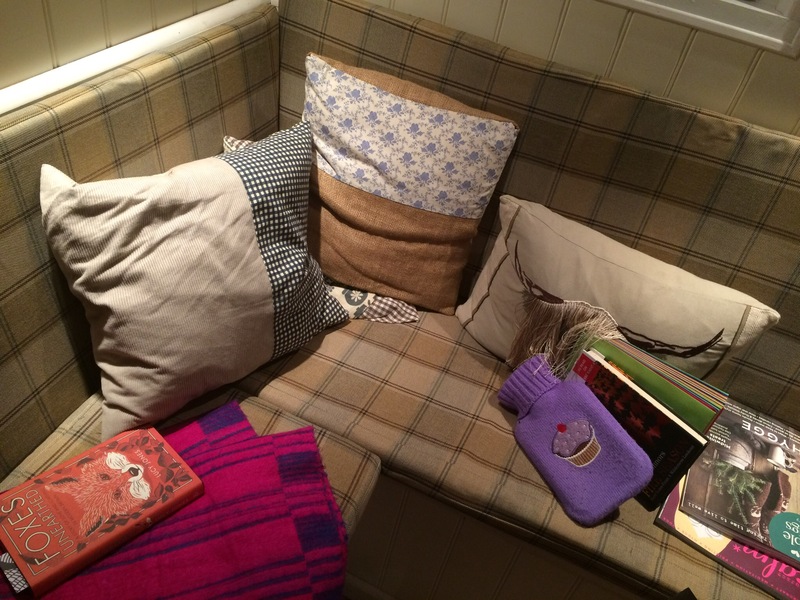 Inside was a comfy and very warm double bed, a tiny but very effective wood burning stove and some seats. In fact it was so warm inside once the wood burner had got going that we slept with the windows open despite the cold weather. 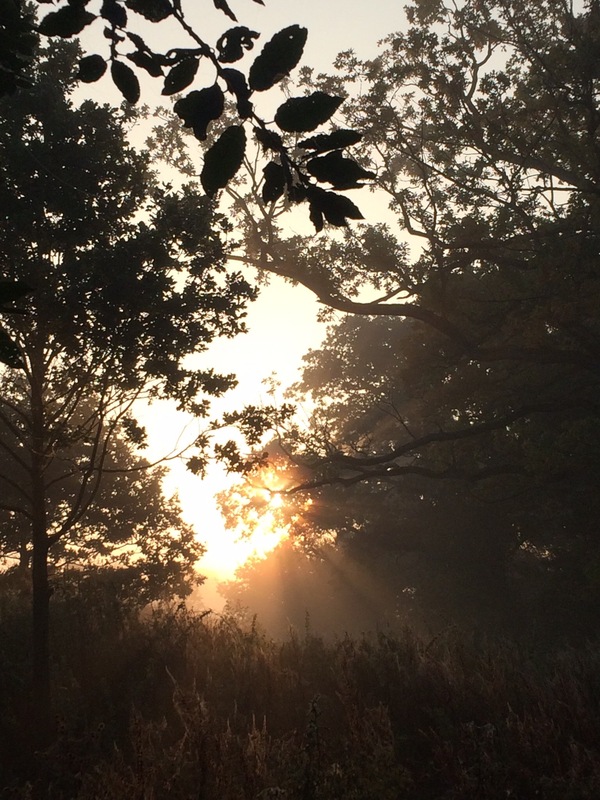 The Knepp Estate is home to one of the largest rewilding projects in Lowland Europe. Beyond the campsite the once arable fields have been left to grow wild and fences have been removed. 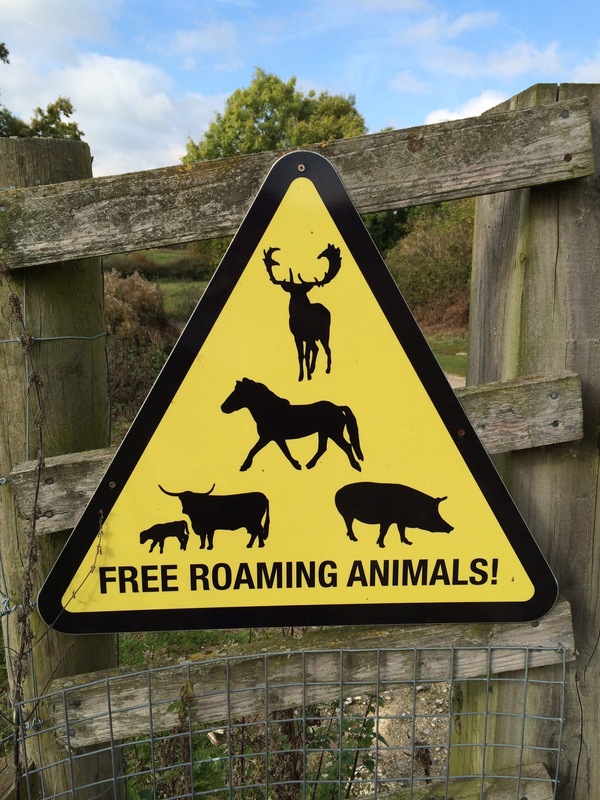 Across the landscape roam herds of longhorn cattle, red and fallow deer, Tamworth pigs and Exmoor ponies. There are maps available at the campsite showing routes to walk around the Wildlands. We loved exploring, taking in the view from tree platforms, seeing cattle trot across paths in front of us and antlers poking out from patches of scrub. In the still of the night we could hear the grunting of deer rutting, an odd but deeply natural sound. 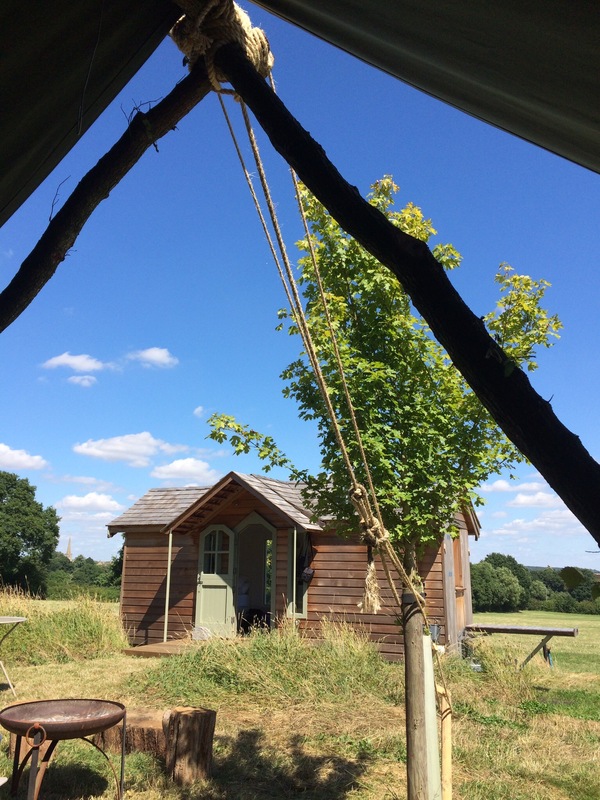 After a day exploring the estate, in the go down is a well equipped camp kitchen, where you can meet other visitors, relax and cook up a feast. You could even eat very locally, as meat from the Estate is available to purchase on site and it is delicious! 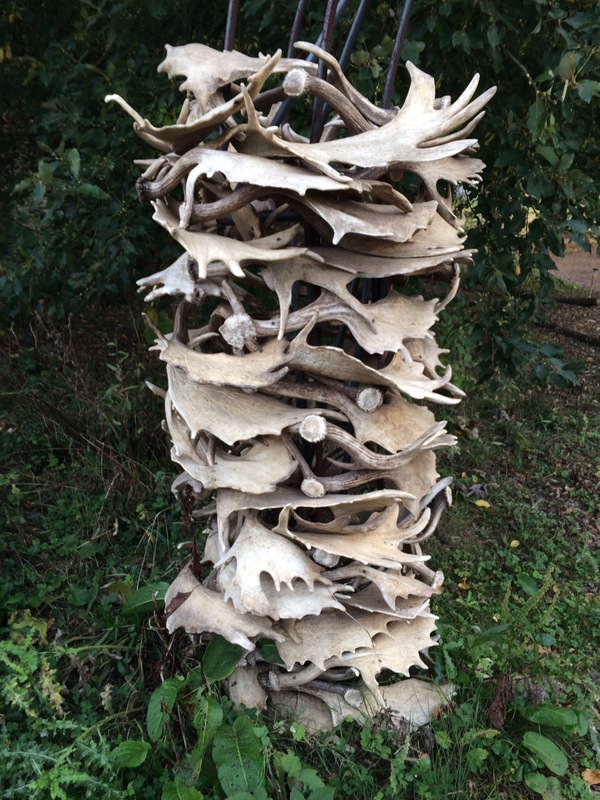 One evening we joined a deer rut safari with the estate’s ecologist, Penny Green. We toured the estate in ex Austrian army six wheel drive vehicles, checking out the gathering herds of deer before walking in to the woods as dusk fell to see the rut up close. The sound of antlers crashing together but feet in front of us was incredible. 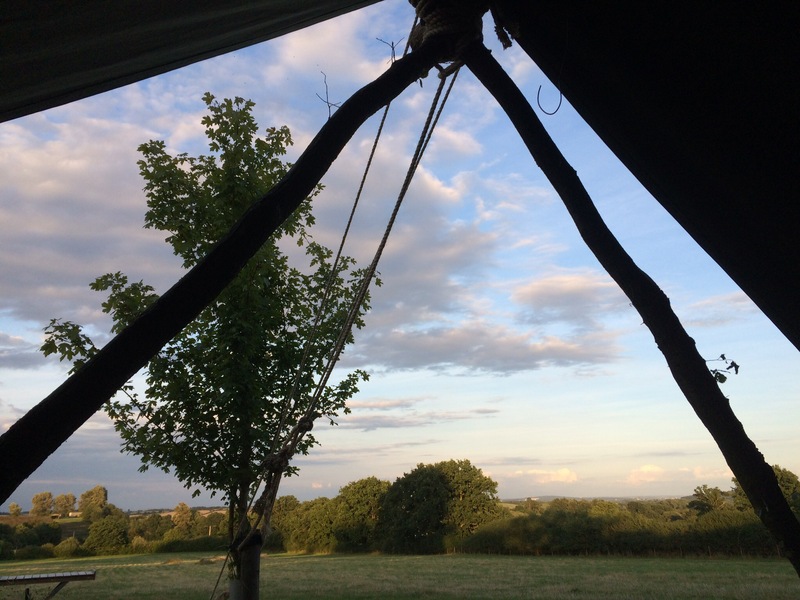 The skies above the campsite were amazing and there were lots of quirky details like an entrance arch with pillars of antlers, baths open to the sky (a little bit cold to use at this time of year!) and the camp shop filled with tasty goodies. This was the most special out of all the places we stayed in 2016, amazing to see rewilding in action in south east England and to imagine what would happen if this was implemented on a wider scale. I can’t wait to return to see Knepp in a different season. 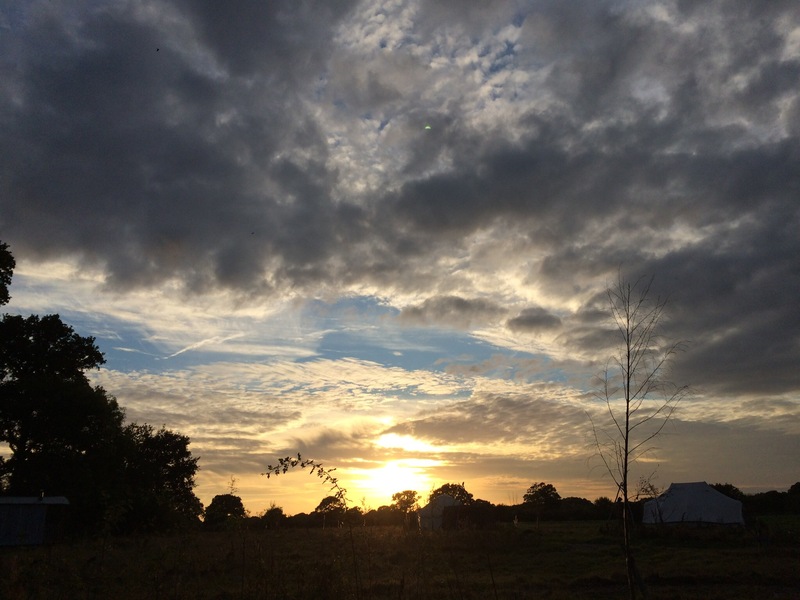 For more information about Knepp visit their website here. 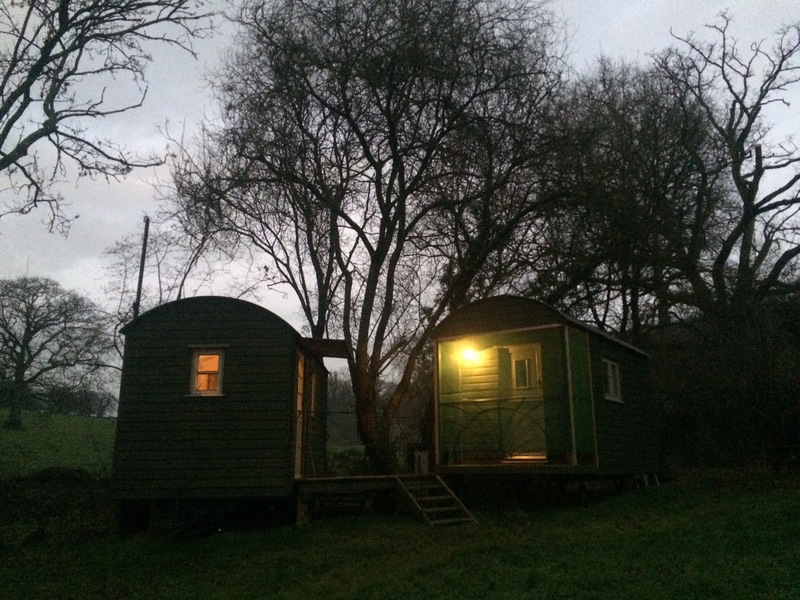 We ended our year with a break over New Year in the beautiful and remote Penn Bergeyn Shepherd’s Hut set in a valley on a farm. 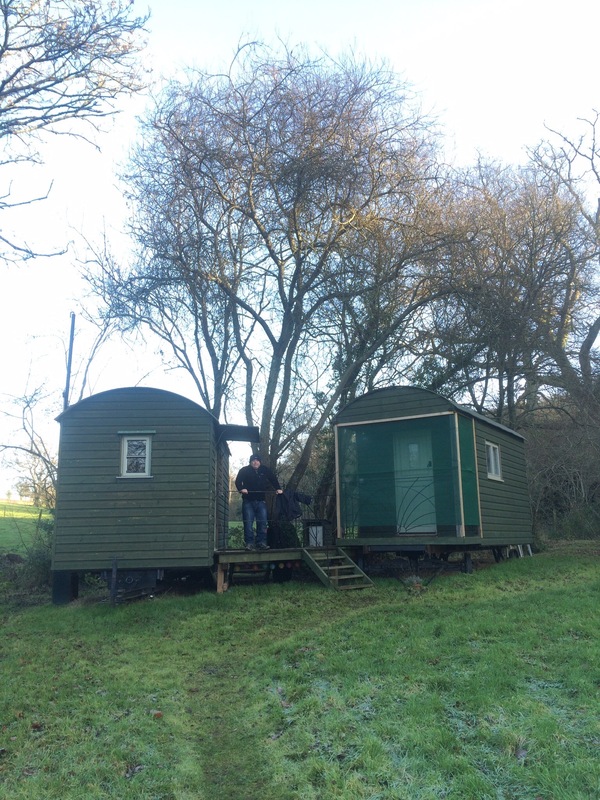 In fact, it’s not one but two shepherd’s huts, joined by a raised walkway. Inside one Hut is a cosy bed, in the other your living area, with a kitchen and bathroom. 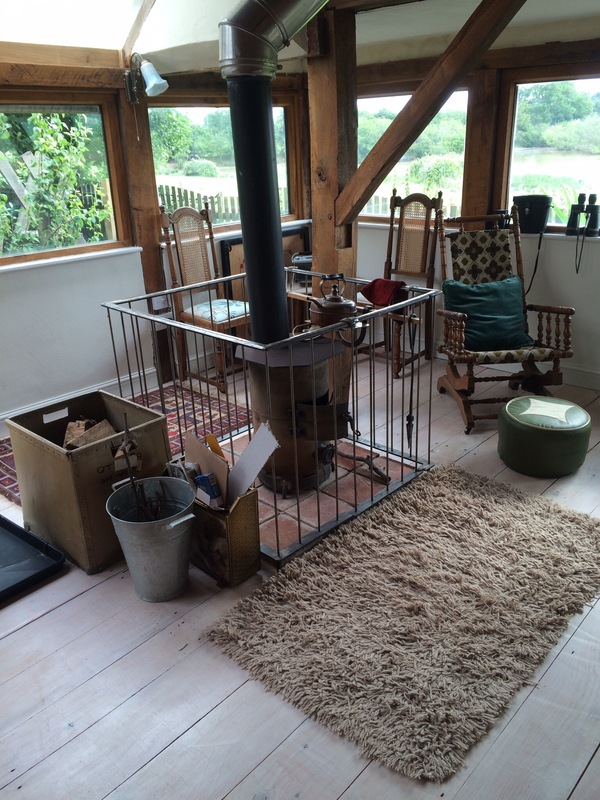 Both Huts have underfloor heating so it’s the perfect place for a winter stay. Pn our arrival freshly baked cookies awaited and we were warmly greeted by the lovely Soizig. 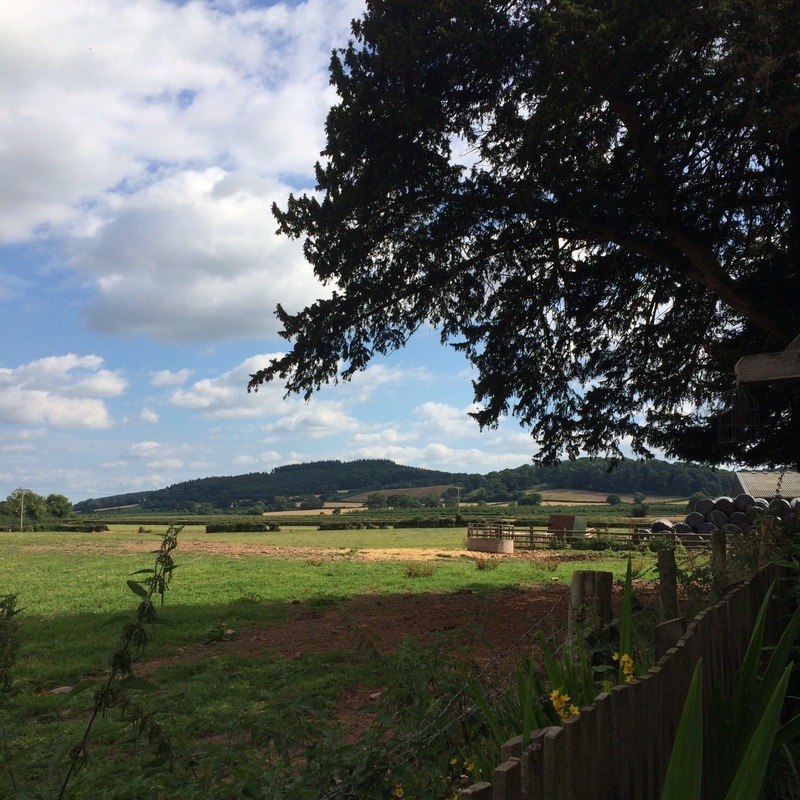 Penn Bergeyn is close to Haldon Forest Park for walking and cycling, and in easy reach of Dartmoor and the Exe Estuary. It’s also the perfect place to relax and unwind, no mobile reception, plenty of time to read, play games and spend time together. 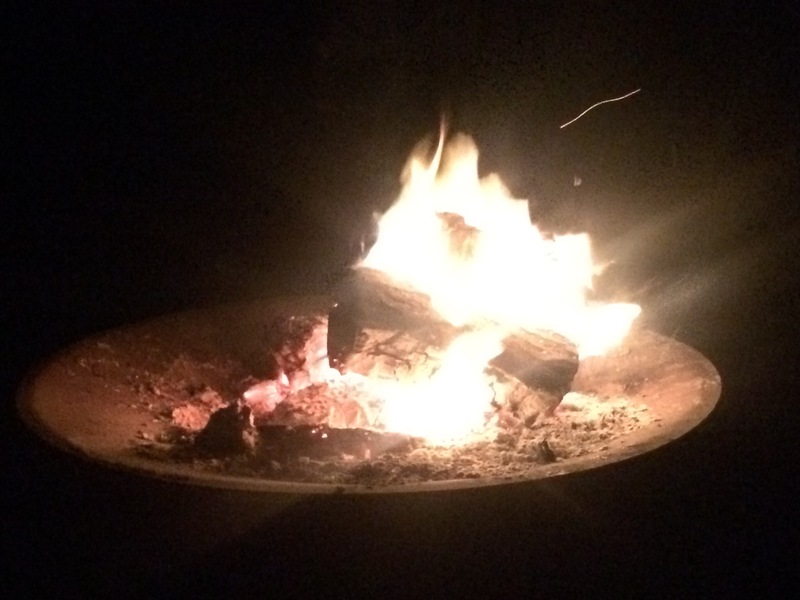 Outside by the fire bowl was the ideal spot to see our the old year and welcome in the new. We would definitely recommend a winter stay here, it was great to have a real retreat from the world after a busy festive season. An outside bath with views of the valley is shortly to be installed so a stay at a warmer time of year could been the cards! More information about Penn Bergeyn can be found here. 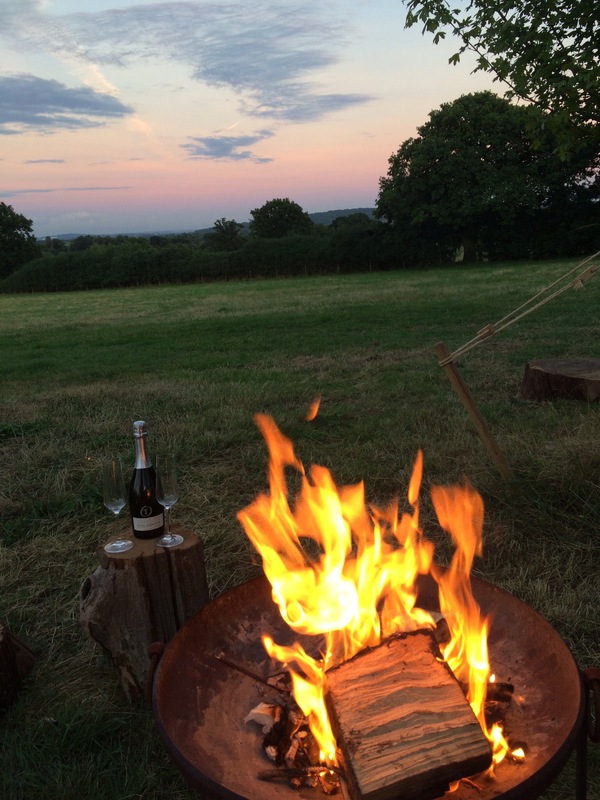 All of these places can be booked through www.canopyandstars.co.uk as well as lots of other amazing places around the country and further afield. We already have our next break booked! 😊 thank you. We had a lot of fun on our trips and it’s been lovely reliving the good while writing this post. I don’t think any of these places take dogs unfortunately but you can search with a pet friendly filter on the canopy and stars website, they have 198 places available that take dogs! Thank you, sadly I don’t think anywhere would be too happy if we turned up with the bunnies! 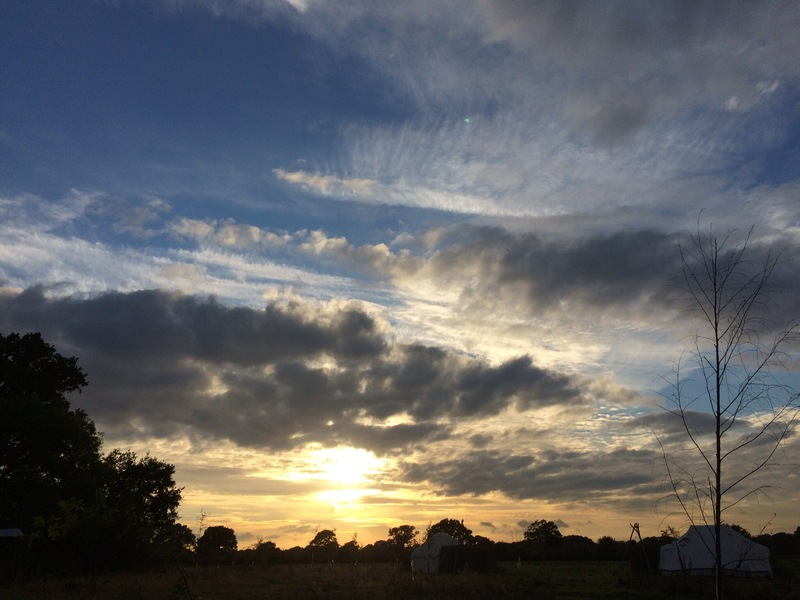 Thanks for reading, one of the best things about glamping is being outside and watching the skies change!